It started with the odd Skype call as we ran similar businesses in the online world. Our partners were the face of the business and we were both in the background doing the systems and marketing. San Diego and Thailand are already in the diary for 2017. No it’s not a new romance. 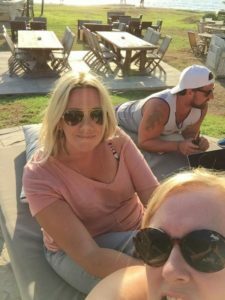 It’s my journey with fellow entrepreneur and BFF Hanni Melnicenko. Far from being competitors we are COLLABORATORS and MENTORS with each other. When you come from a place of giving it comes back 100-fold. Coming up me and Hanni have not one but TWO spectacular offers to help you get a head start on your rivals next year. When me and Hanni meet we never stop talking for hours and hours (admittedly the Martini Espressos might have something to do with that) but we love talking shop and life and coming up with new ideas. We both sing from the same hymn sheet and believe in profit not turnover. We both believe in creating easy systems to get your business working on auto-pilot so you can free yourself up and work on strategy and the big picture stuff. We both believe in working with your passion. We both have very successful Facebook Groups. We both practice what we preach. And love love love to teach what we know to others to make your lives much easier and of course more profitable. It’s TWO systems you can implement to help you grow your business next year. We know from experience how hard it is running a bootcamp business and doing your marketing because we used to do it. But we were lucky as we were both in pairs where one partner concentrated on the business and the other the fitness. But when you don’t have a partner to do the business and marketing side. When you are a one man or one woman band and have to do it all yourself. Well that’s when things slide and the marketing keeps getting put to the bottom of that to-do list. How would you like us two working away with our systems helping you to ATTRACT clients. And more importantly KEEP them. When you learn from those who have already been there and done it and proved that it works. I am very proud to be an affiliate for Hanni’s offering which teaches you HOW TO USE FACEBOOK GROUPS TO DOUBLE YOUR REFERRALS AND KEEP CLIENTS FOR LONGER. It’s packed full of Facebook content that you can just copy for the next 365 days and take all the pressure off yourself. Interested in making life easier in 2017? Want Hanni’s proven system to start working in your biz? Then click the link HERE. I know the other problem you often face is no time to blog or no time to get yourself featured in your local newspaper. We used the local press massively when growing our boot camp back in 2010 and we ended up one of the biggest in the UK with 9 sites. When you get in your local paper you very quickly become the voice of authority or the go to expert in your town and EVERYONE wants to be served by the best. There is no quicker way to raise your profile. And it’s easy to do too. You just need to be consistent. I have 12 Done For You Press Releases that you can send out every month to your local paper and radio station. You can also use them as blog posts or take snippets out for your social media content on Facebook and Twitter. Many of the press releases focus on timely fitness events throughout the calendar so you are always bang up to date with what’s going on. Interested in having all your press releases and blog posts done with my help? Then click the link HERE. 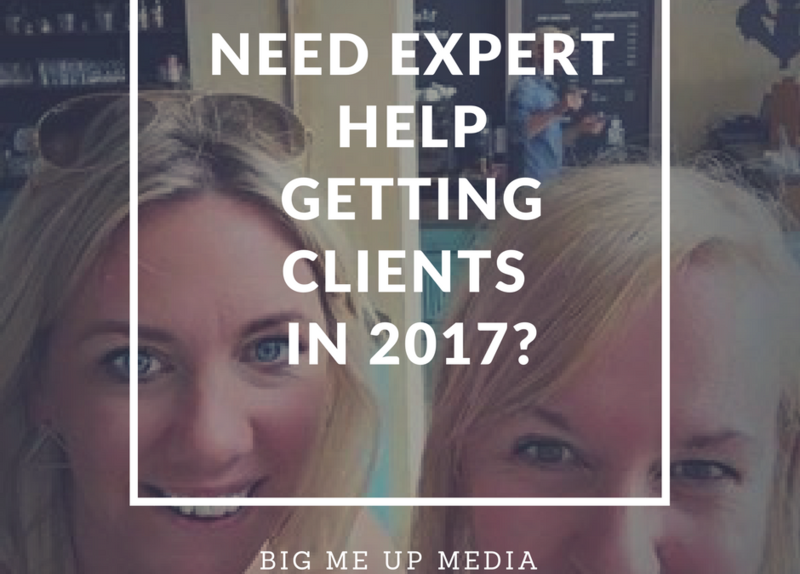 If you are anything like me and Hanni you are still hard at it this week, bagging those January clients NOW. The fitness world is a ruthless one and packed with competition so while everyone else takes a break it makes sense to go in the opposite direction. That’s another thing me and Hanni agree on – always go on the road less travelled. We hope you have an amazing 2017 and that we can help you as much as we can.